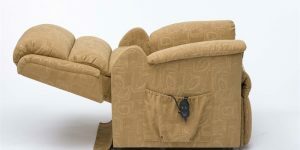 The Vienna power chair is one of the most popular power chairs on the marketing. Designed for both indoor and outdoor use, the Vienna has anti-tip rear wheels for added safety. The seat and battery pack are easily removed making it ideal and easy to transport the Vienna electric wheelchair. Designed with performance and comfort in mind, the Vienna power chair is capable of carrying users over 18 stone and will travel up to 19 miles between charges. This power chair is on 22″ wide, making it one of the most compact powerchairs on the market. A turning circle of just 31″ makes the Vienna power chair perfect for maneuvering in small spaces.